Marketing communication is a primary component of the sale of "Health And Beauty Aids." Magazines and social media abound with "solutions" for problems that may or may not even need to be remedied. Sometimes the products retail for many times over the cost of the product as manufactured. What is the price tag on hope? People have been chasing the Fountain of Youth for generations. As Gen Xers deal with becoming middle-aged, and as millennials hover around age 30, there are new potential customers starting to panic about the aging process and becoming desperate for solutions. 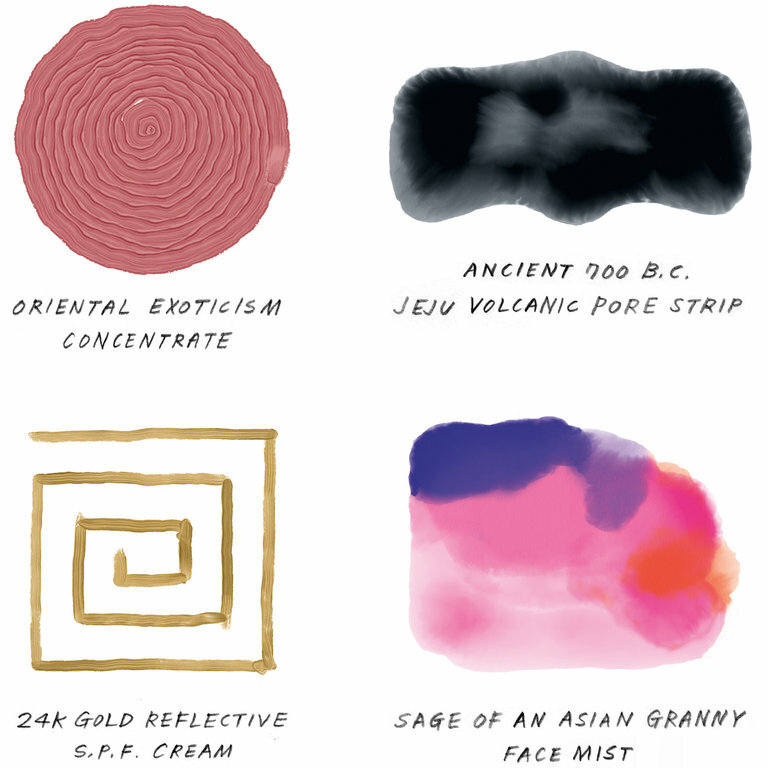 A current fad is a 12 step Korean Beauty System, which actually can vary from 10 to 17 steps. At any rate, because people don't know what really works--but want to believe that someone has The Answer--products that are "new" have a marketing edge. The NYT article below is written by Euny Hong, an American writer of Korean descent, who is multi-lingual and has lived around the world. She wants to warn Americans that they "have been had" by the promises of Korean beauty systems. (She limits her use to snail slime.) Check out the products below. Source: "I Grew Up Around Korean Beauty Products. Americans, You've Been Had," by Euny Hong, New York Times, December 9, 2017. What is Euny Hong's take on the good and bad of Korean Beauty Products? What marketing strategies are often used with beauty products? List at least five and describe why they are employed. Which are most effective? Research and report on the mark-up on beauty products. How does this compare to the mark-up on retail clothing? What other products have high mark-ups? What does high cost communicate to the consumer?